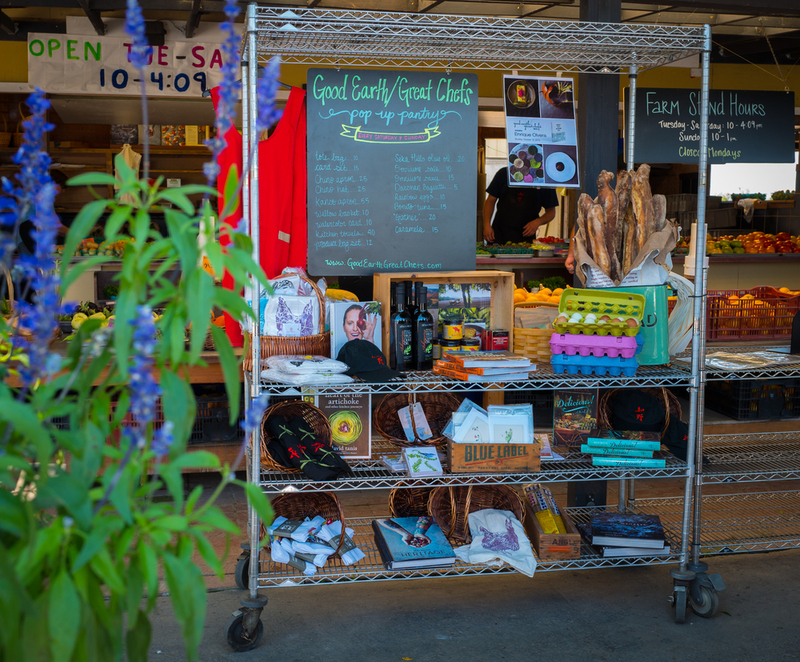 In 2014 we introduced the Good Earth / Great Chefs pop-up pantry, which is open at the farm during weekend hours, and whenever we have an event. You can check this page for the latest pantry items for sale. We've got signed books from many of our past events, and we've also got the items listed below. You can read more about Angelo and his legendary kitchen from a recent piece in Bon Appetit here. We are pleased to be partnering with Wayfarer Bakery in La Jolla and selling their country levain, baguettes, and cinnamon morning buns on Saturday and Sundays at the farm. You can read more about this new bakery from a recent feature in the New York Times here. This craft pasta is made by slowly kneading the best durum-wheats with cold water, resulting in a tasty and porous pasta which allows the sauces to be absorbed well. Imported from Italy, and made with 100% Italian premium durum wheat. $10 / pound. We proudly sell a variety of items from Rigel Stuhmiller, a Bay Area based printmaker and illustrator. We've got a selection of her absorbent cotton dishtowels, with designs ranging from colorful chickens to Chinos vegetables. These sell for $40 for a package of four towels. We have a rotating assortment of packaged notecards from Rigel Stuhmiller, featuring cheese, pop art, flowers, and vegetables. $15 / 6 cards.